This reconnaissance flight in balloon organized by the Duke of Breignac, was most agreeable. This region offered itself to me from a totally new point of view. I even had time to map out a part of this prosperous valley. I flew over the village of Breignac, with its sturdy castle perched on top of impressive cliffs. The impregnable monastery of Garmont, almost inaccessible is partly hidden under thick vegetation. The atypical village of Lavignasse nestled in the hollow of narrow gorges, famous for its quality wines. I couldn’t refrain from making the cabin of Gaudias appear on this map. A small wooden construction encircled by the waters, and barely visible from the sky. This may seem anecdotal, but this old hermit is a very competent herbalist. He made me discover a mixture of very tasty and highly euphoric herbs. This place is important because one of the herbs that make up this mixture grows only in this valley. So I will have to return regularly to replenish myself. 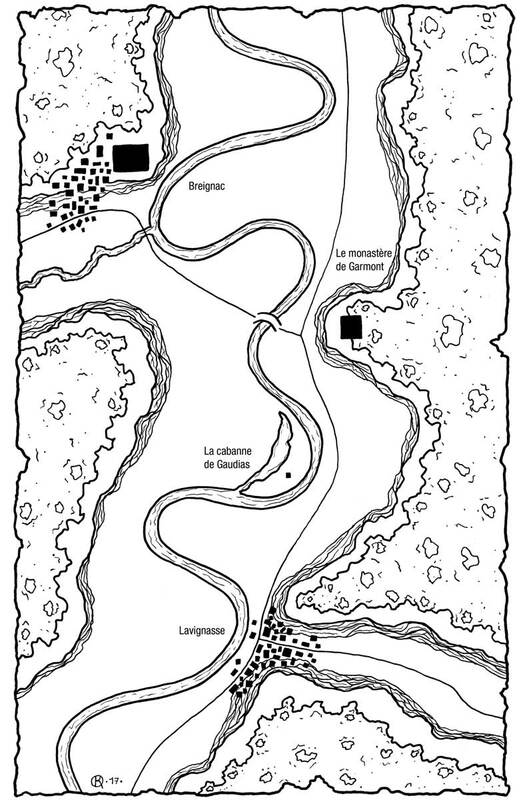 Extract from “Architecture of the Old World” by Ocreoth Motbar, nomad cartographer. 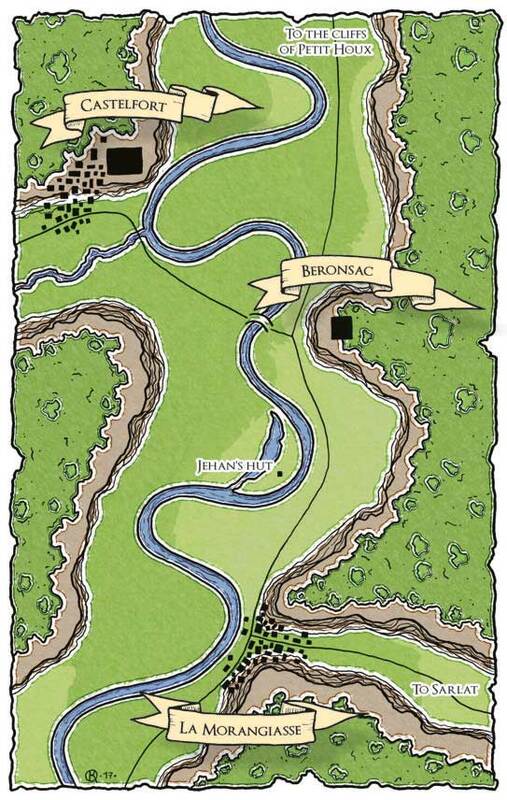 I drew this map for “The Blacksmith Prince” a fanstasy novel written by Beryll & Osiris Brackhaus. This excellent colorized version was made by the author and is generously offered to you.